, the early bird dinner at Dennys might need to make space for a new guest. is expected to land somewhere in the 500,000-600,000 range. 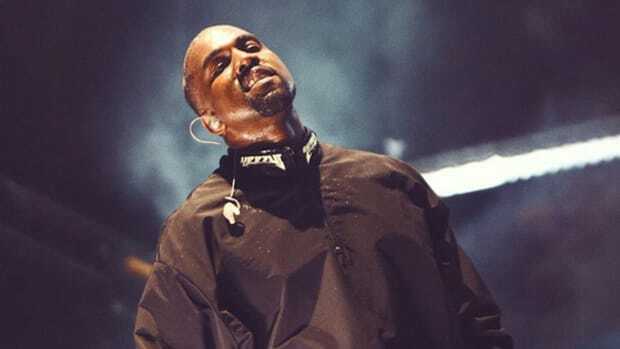 "It&apos;s probably at 3 to 1, with Kanye outselling 50 with our sales so far,” said Carl Alvarez, the urban buyer for Virgin Entertainment Group, in a L.A. Times interview. “I anticipated 60 percent of people picking up both, but we anticipated Kanye selling more." Smaller retailers back up Alvarez’s findings, with stores ranging from the east coast’s Newbury Comics to the west coast’s Amoeba Records reporting watching Kanye’s sales outpace 50’s by as much as two to one. , which is quickly climbing the charts on the strengths of two hit singles receiving massive airplay on country radio. Is there room at the top for three? 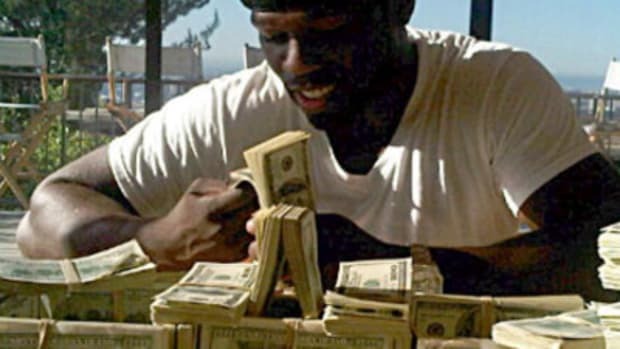 Never count 50 Cent out, there’s still a long way to go and sales can swing sharply in a matter of days, but September 11 has not been the triumphant day he envisioned. Still, if 50 can survive nine gunshots he can certainly weather Kanye’s day one lead. 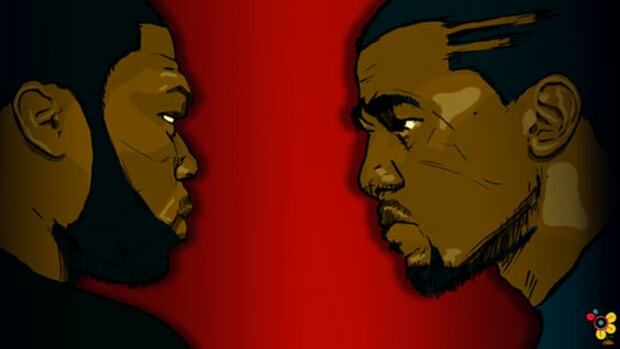 Kanye has won the battle but the war for hip-hop&apos;s throne continues, who will be left standing? Stay tuned.